Summer is precious here in Canada. Well, it is not hard to understand that, it is the only 3-4 months sunny days Canadians will have for the whole year. Canadians will take every opportunity to enjoy the sunshine, and will make every excuses to go under the sun. Nearly every weekend is jam-packed with many festivals, shows and activities. 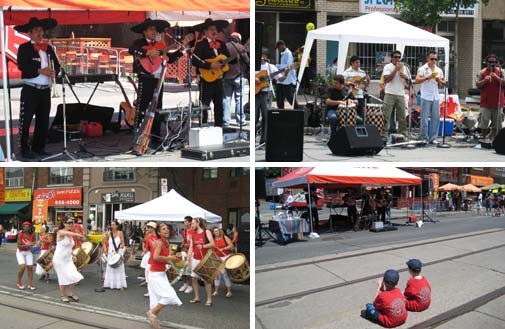 One of the most popular events in Toronto is street festivals. Canada is a multicultural country. It is common that some particular ethic groups live in particular areas, like the Chinatown, Little India etc. Hence, the street festival for a particular culture will most likely be held in that area. For example, I live near St Clair West subway, and this area used to have large number of Italians, hence there is an Italian Street Festival here, although most Italians are slowly moving out of this area. Interestingly, during the last decade or so, many Spanish Caribbeans or Latin Americans have moved into this area. Therefore, it is not surprised that a Salsa Street Festival has started here, about 3-4 years ago. I went to both, of course, since these two street festivals only no more than 15 minutes walk from my home. I love street festivals ! Food, musics, dances, and give me the chance to get to know the culture a little more. Why not? 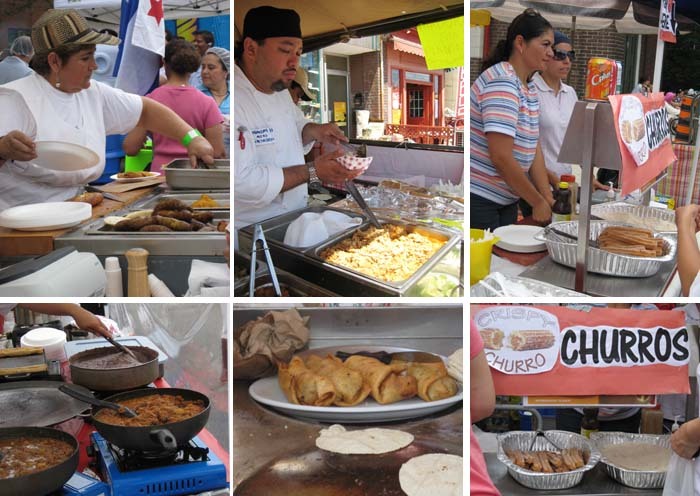 Out of all the street festivals I have been to, I like Salsa Street Festival the most. Maybe because I like their musics, and like their passionate attitude towards life. My friends also introduced me to Middle Eastern Street Festival. Though it was a smaller festival, I quite liked it too. The highlight of that day was I found the Murtabak stall ! They were busy, otherwise, I would have gone up to tell them how I miss their murtabak and had been looking for them at other festivals. Leave you with a dance clip at Salsa Street Festival. My apology for the poor quality. 明天要上班了！Going to work tomorrow ! 122 queries in 0.541 seconds.